Rosenbaum Family House has raised $ 2,110 from 14 gifts! Healing involves not only great medical care but also the love and support of family and loved ones. 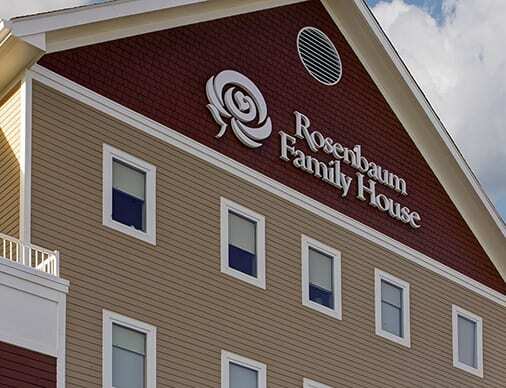 The Rosenbaum Family House provides a place for adult patients and their families or caregivers to stay while receiving medical care at WVU Medicine. Our founding donor Hilda Rosenbaum’s vision was to create a “home away from home” for families facing a medical crisis. Thousands of patients travel to Morgantown each year for specialized and extended medical care offered at WVU Medicine’s Morgantown Campus. In 2017, the Family House provided lodging for 1,905 families from the United States and beyond, and since opening in 1999, has housed more than 17,000 families. While many families can pay the $20-per-night fee, others cannot. Because no one is turned away, your tax-deductible contribution is important. It allows us to keep our rates low while providing support to families. One way to support these efforts is to make a gift to our priority fund. This fund helps with our most pressing needs. Gifts support operational expenses and allow us to keep fees to a minimum for those we serve. Please consider making a gift today. When you make your financial commitment, you enable us to continue providing a “home away from home” for families facing a medical crisis.